The other day on Facebook, my friend Heather requested some food mandalas and this is what I had on hand. 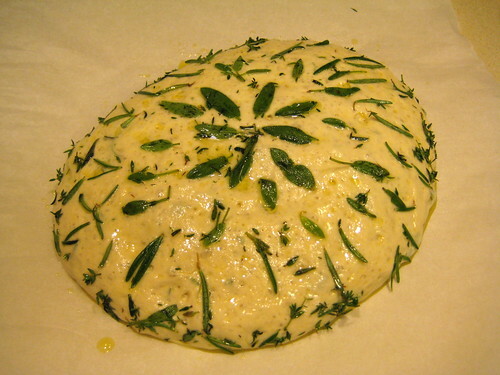 First, a focaccia mandala baked at my friend Jen's house. I created the mandala with fresh herbs from her garden. 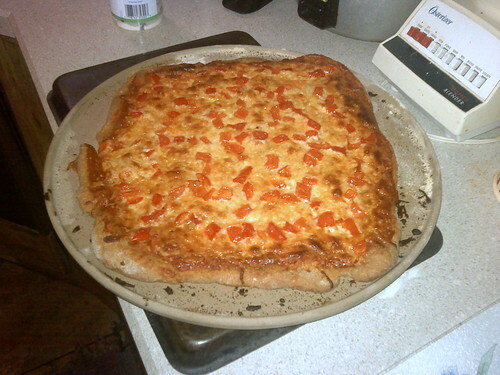 And once again, after it was baked. 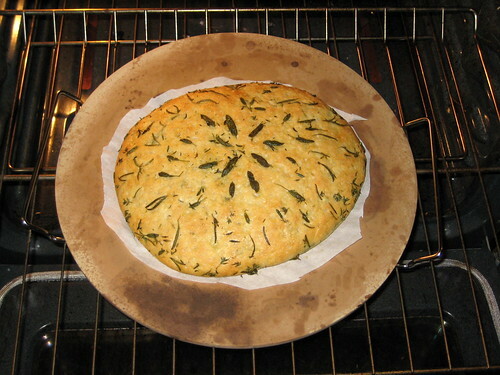 This bread was then taken from Findley Lake, NY to Johnstown, PA and shared with another good friend, Becky Bickford. 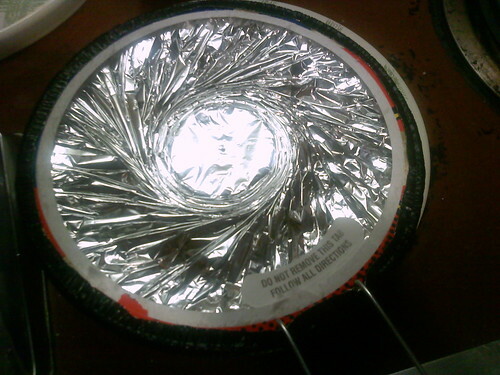 Next, is a Jiffy Pop mandala. I suppose this technically isn't a food mandala but perhaps instead a food delivery device mandala but since them's thar foodstuffs in there silvery thang, I'm calling it a food mandala. 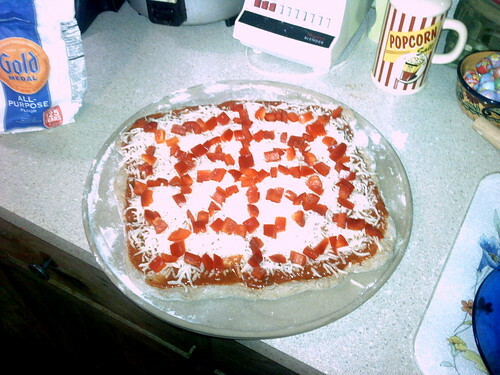 And how about a pizza mandala? My fiend Jaqui MacMillan and I made this when I visited her this past April. I created the design from chopped tomatoes. Unfortunately not so mandala-ish after it was baked. Here you go Heather! 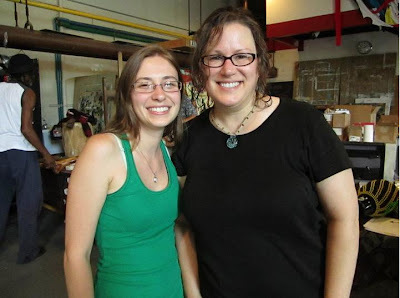 (Best merch fairy ever!) Next time I'll work on that Banana Mandala for you! darn it! now I'm hungry. 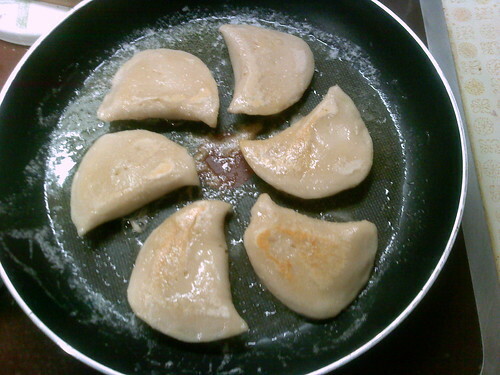 And I really, really want a pierogie mandala!